To spread stress over a larger surface area and improve joint strength, wavy gussets are used. 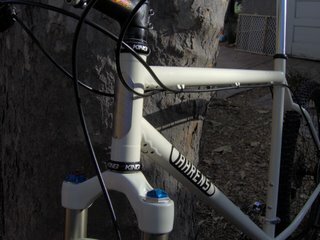 On this frame, the custom gussets have been reworked to reduce weight while retaining their nice looks. The finishing touch has to be the nickel plated head badge securely attached with two button head screws.